The Urban Decay Naked Basics 2 palette is a compact light-weight palette housing six neutral shades which are perfect for creating everyday go-to looks, with a lovely variety in shades that makes creating a whole host of different looks super easy. It's presented in a very similar way to the first Naked Basics palette; the same size and style of packaging, Basics 2 is just a touch darker in casing with silvery-grey lettering, with each shadow being 1.3g in size. Individual Urban Decay eyeshadows are 1.5g and cost £14 each, so the size of the shadows in the Basics 2 palette is great considering the palette itself is only £23 (to buy six individual Urban Decay eyeshadows would set you back £84!). Just like the original Naked Basics palette, Basics 2 comprises of one satin finish eyeshadow alongside five matte shadows. As far as palettes go, there's very few all-matte palettes available on the beauty scene and even with the one satin finish shade, the Basics palettes make a great alternative for those who want to avoid the more frost or shimmer finishes your usual eyeshadow palettes will comprise of. The formula for each shade is of the usual Urban Decay standard; buttery soft powders with little to no fallout, very easy to apply and work with, especially to blend, with great colour pay-off and fab longevity. Compared to Naked Basics, I find that the Basics 2 palette has shades which are easier to work in harmony with any complexion. Cool and warm toned neutral shades that are more complimentary and flattering than the original Naked Basics palette, which has a couple of shades which can easily look a touch stark or obvious for a neutral palette. Although I adore the original Naked Basics palette, I have to admit I really do prefer the Basics 2 palette. Skimp is the satin finish shade in the palette, a flattering pale beige with slight peachy undertones. Skimp is particularly lovely as an inner-corner and brow-bone highlight shade. Stark is a pinky beige with warm undertones that works really well as a wash of colour over the lids to neutralise skin tone and works well as a base when teamed with other shadows. Frisk is one of my favourite shades in Basics 2, a super pretty warm toned light taupe that I particularly love for the centre of my lid or blended through the crease when used with Stark. Cover is a perfect slightly cool toned medium brown that I have teamed with many other shadows outside of Basics 2, especially great as a crease shade when going for a day time neutral smokey eye. Primal is another favourite and similar to Frisk, a warm toned taupe brown that is great for making Stark stand out more when used in the crease with Stark over the lid and Skimp in the inner corner. Undone is the darkest shade in the palette, a cool toned dark brown that is such a nice alternative to the usual black shades used to complete a palette, perfect for blending through the crease and doubling up as a lower lash-line colour. For £23 I think the Urban Decay Naked Basics 2 palette is incredible. It's such a great palette for everyday and would be great for anyone from beginners to real makeup enthusiasts; the quality of both the shadows and packaging is very high for the price. I love the Naked Basics palette, but Naked Basics 2 is my winner by far. Even better? You can order the Naked Basics 2 palette with free delivery on FeelUnique.com! 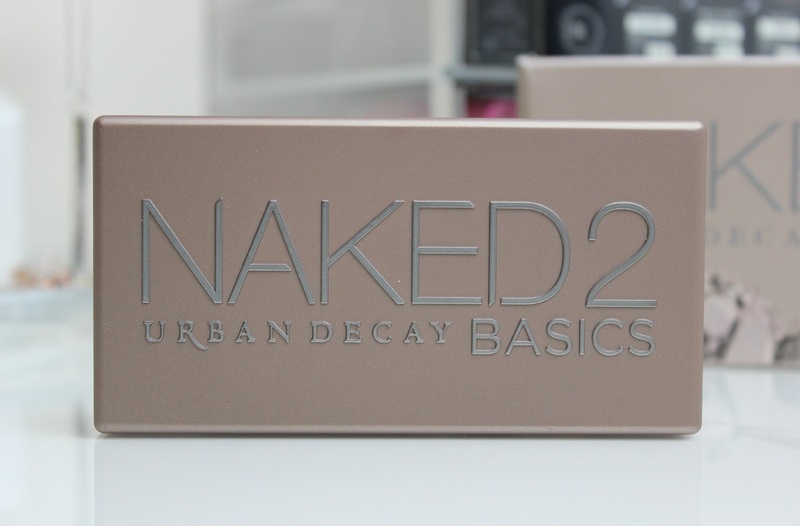 Check out my review of the Urban Decay Naked Basics palette here. I adore this palette, like you, UD was the first brand to really get my started with eyeshadow, and they're still my favourite by a long shot. I never actually bought the first as the shade selection was wrong for my skintone - all of the shades just looked muddy on me - but the second offering is definitely one to pick up! Lovely review as always! The full Naked palettes are so gorgeous, but I don't use eyeshadow that much to pay that price for it. But a basics palette may be the ideal thing for me... Thank you for the review! This is the perfect palette for everyday! 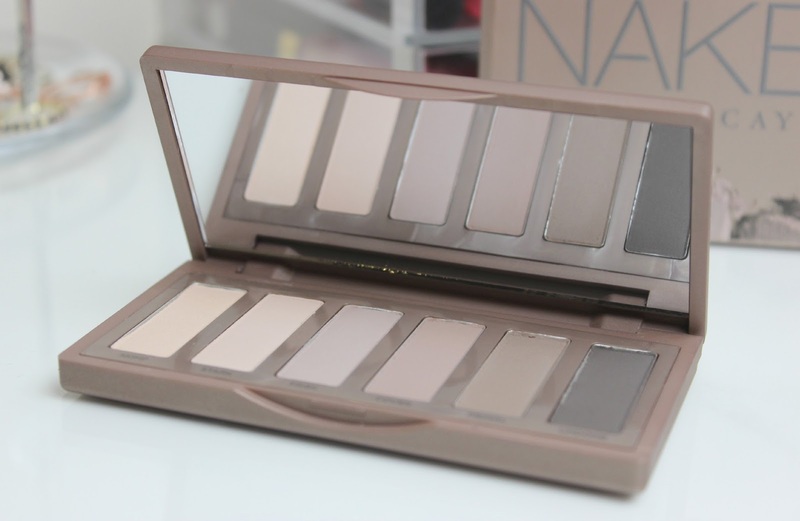 I love the Naked palettes by Urban Decay but an all matte one sounds even more perfect! Definitely going on the wishlist. This looks like y perfect palette as I am all about the cool toned matte shadows! They seem such good quality for the price and this palette also looks really good for travelling! i adore this palette, i've really been into cool tones lately, so i think i'll have to pick it up before it starts fading away when it's screaming my name in the store! This has been on my wish list and I just adore how nice it would be as I love the colors in this one. I love this palette, I do use it everyday.